We hadn’t intend to take any side trips when planning our 3 week vacation to Hong Kong back in December. My sister and I discussed it a few times, but in the end, nixed all the ideas so that we wouldn’t have to deal with the holiday travel chaos. We also felt that the girls would be happy anywhere, as long as they were together, and that proved to be true. Timing was also difficult to arrange. We were one week away from Christmas, and I definitely wanted to be in Hong Kong with the girls for that, which left little option for dates if we were to search for cheap airfares. “Nah…..too much work, too rushed, probably too expensive…..let’s just forget about it,” we told ourselves. 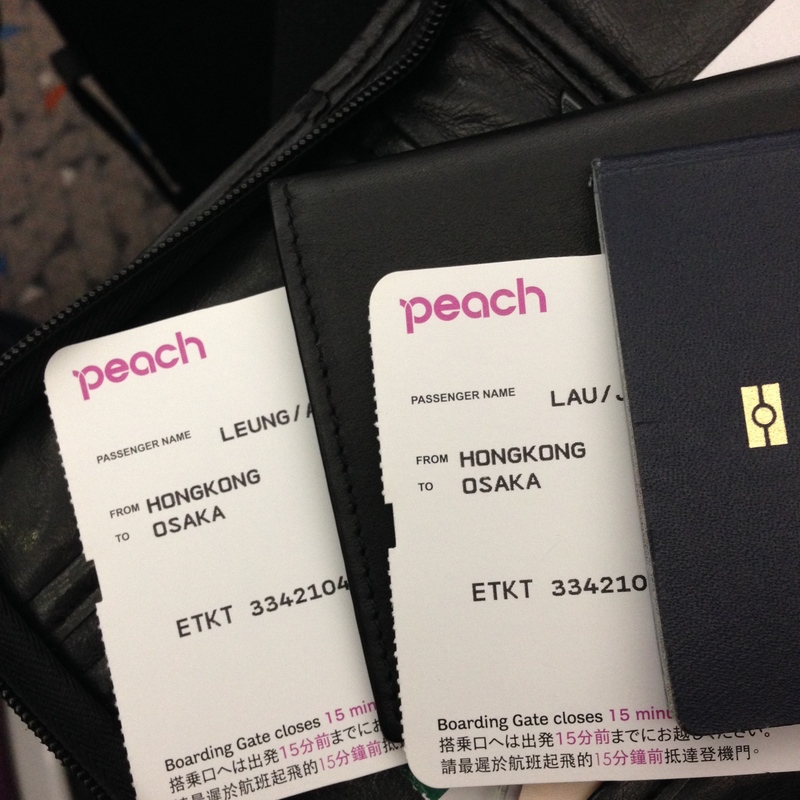 Then, while at lunch, Alan decided to look at Peach Airlines’ website, just to see…. 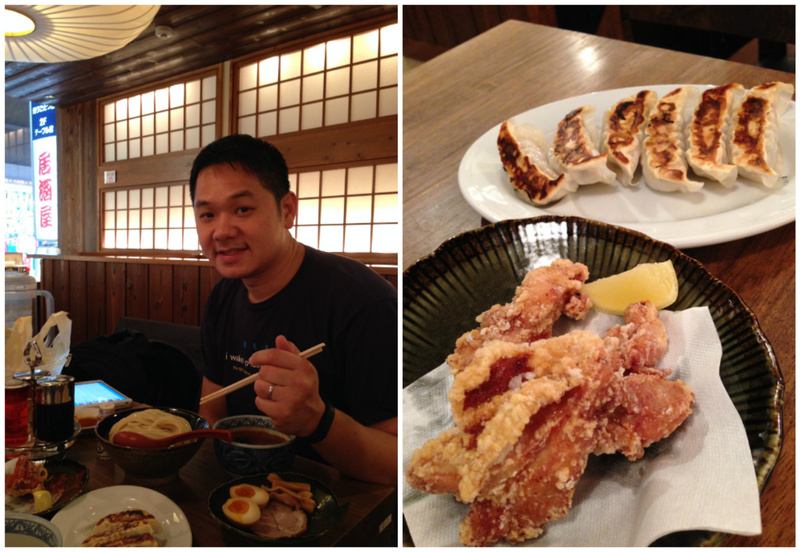 …and before we knew it, we were packing our bags for Osaka to leave the next night. This was definitely one of the most spontaneous trip we’ve ever taken, and it felt exciting! But the downside of that was just being totally unprepared, which, to a planner like me, was also nerve-wrecking. 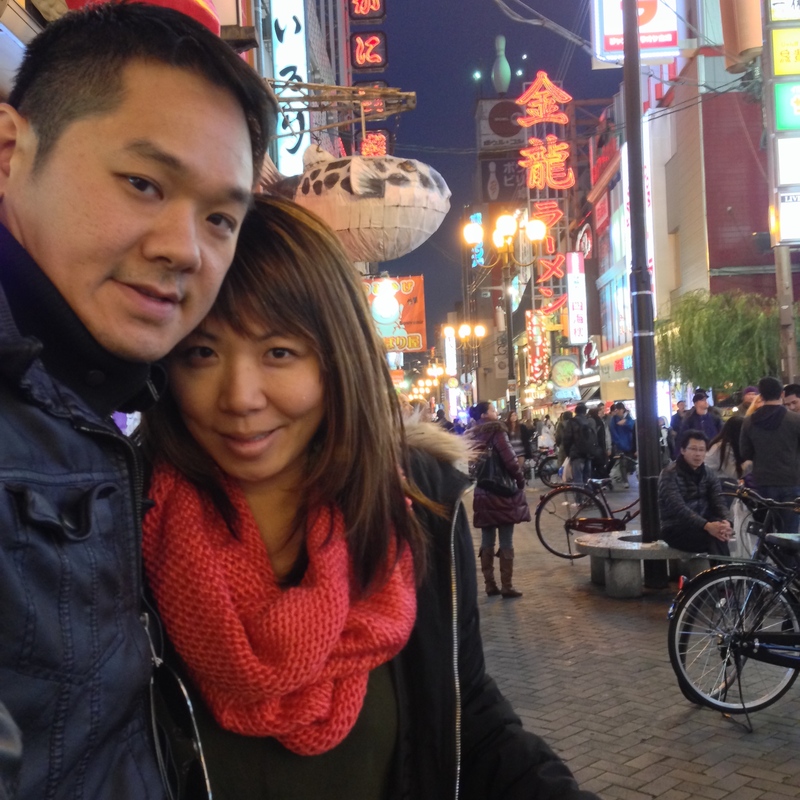 First of all, we hadn’t brought any super warm winter clothing or coats with us to Hong Kong, so we weren’t prepared for the freezing temperatures in Osaka. A quick trip to H & M solved that problem rather inexpensively and quickly. 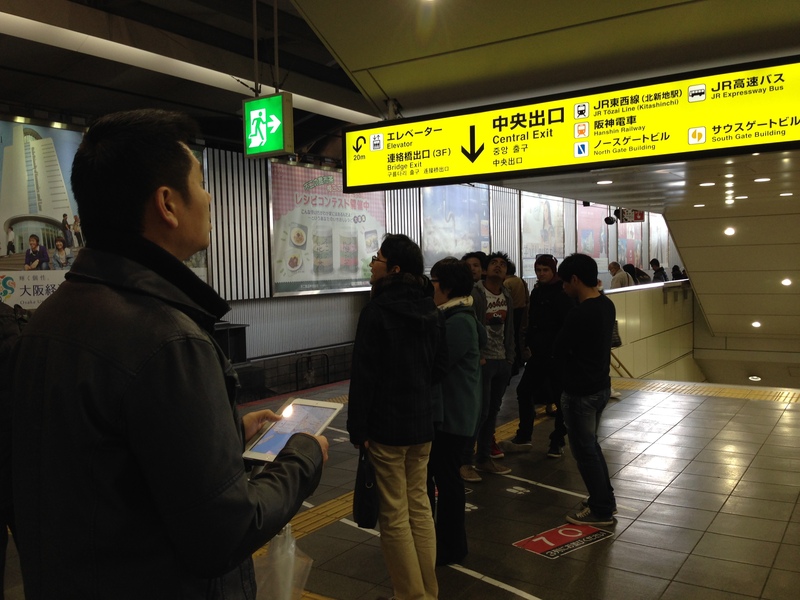 Secondly, we knew nothing of Osaka and its nearby cities, and didn’t know how we’d get around upon arrival. A-ha! Alan’s friend suggested we rent a mifi at the airport to give our phones internet access at all times, and for USD $15 a day, it proved to be the BEST VALUE spent for our money on this trip. Thirdly, where would we stay? Within 5 minutes of jumping onto Airbnb, we booked a tatami room in the home of Japanese family, about 40 minutes outside of Osaka. 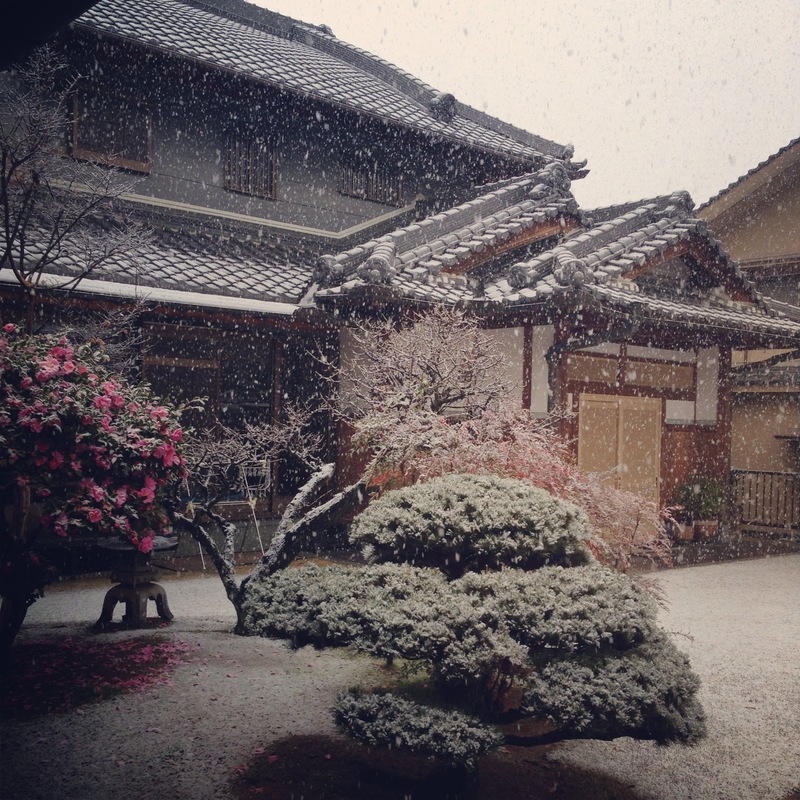 A bit far, we realized, but we were excited to experience what life in the suburbs would be like in Japan, and in a traditional Japanese home, no less! Besides, it’s not like we had a whole lot of options being that we were booking for the very next night. Here’s the first problem we encountered by booking last minute and not being able to look through everything very carefully. Our itinerary from Peach Airline read 1:15 as our departure time, and when we hastily booked our tickets, we presumed that meant 1:15 in the afternoon. We were wrong. 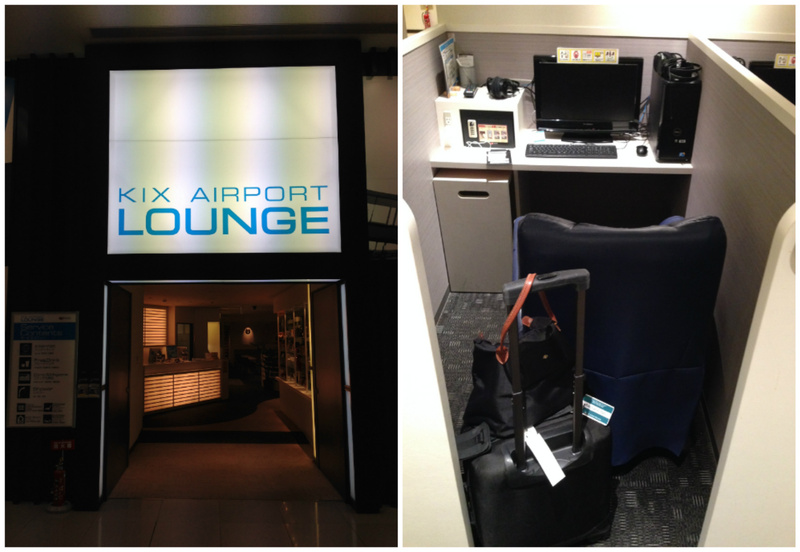 And so, we ended up flying red-eye out of HKG at 1:15am, and arrived to KIX groggily before 5:00am. Unable to check-in to our room, and with nothing opened yet, we rented reclining chairs at the airport lounge to sleep some more. 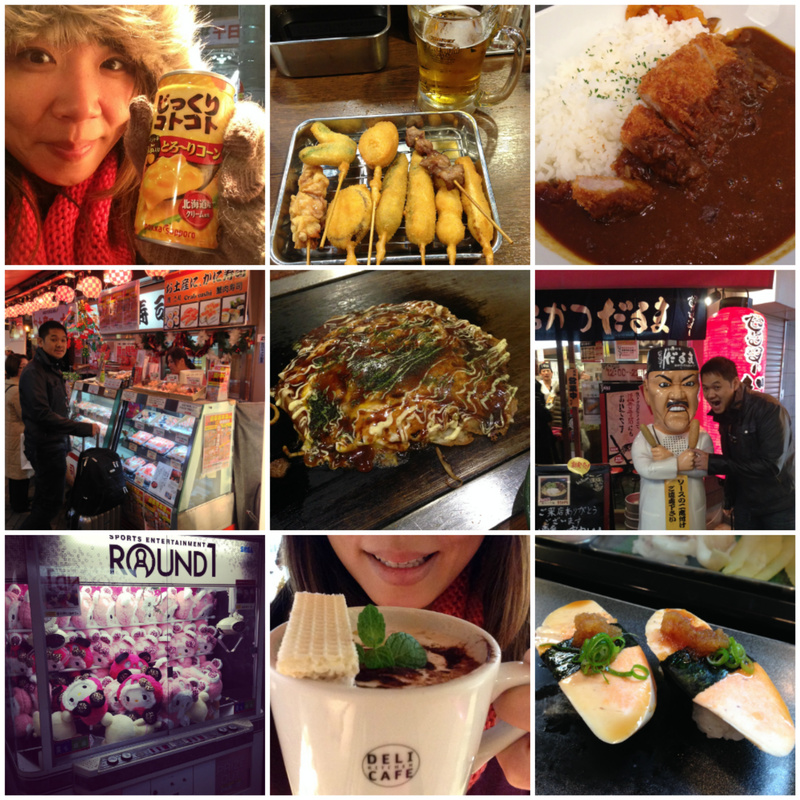 We had no tour book, no guide, and no idea whatsoever which restaurants were good but based on our extensive travel to Japan in previous years, we figured we couldn’t go wrong with any restaurant there and so, we randomly walked into places to try them out. Thanks to the mifi, I was also able to message my Japanese friend, Karen, to ask her for suggestions as well. 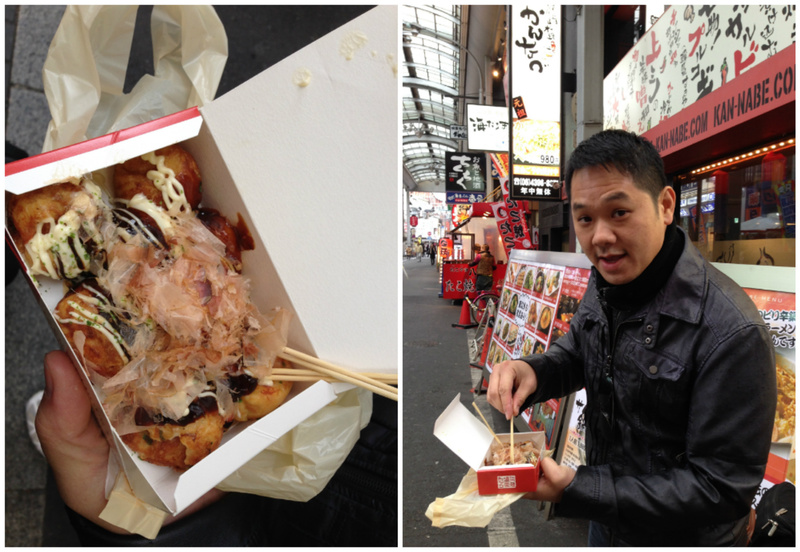 We had to pace ourselves though, in order to try more food, so we ate small meals and walked A LOT in between meals. Finally, at about 8pm, we decided that our tummies couldn’t possibly fit another ounce of food in there, and began making our way to the home in which we would stay in. The subway lines in Osaka proved to be much more complex than the ones in Tokyo, and it took us over an hour and about 4 different trains to finally arrive to the station where our hosts were waiting. The walk from the station to their home takes about 15-20 minutes, and so it was a very kind gesture of our hosts to offer us a ride with our luggages. We stayed in the guest house that was separated from the main house which had its own small kitchenette and would have been nice except for one problem. The bathroom was in the main house, and though it was just about 10 steps away, it was 10 super freezing cold steps in the middle of winter. 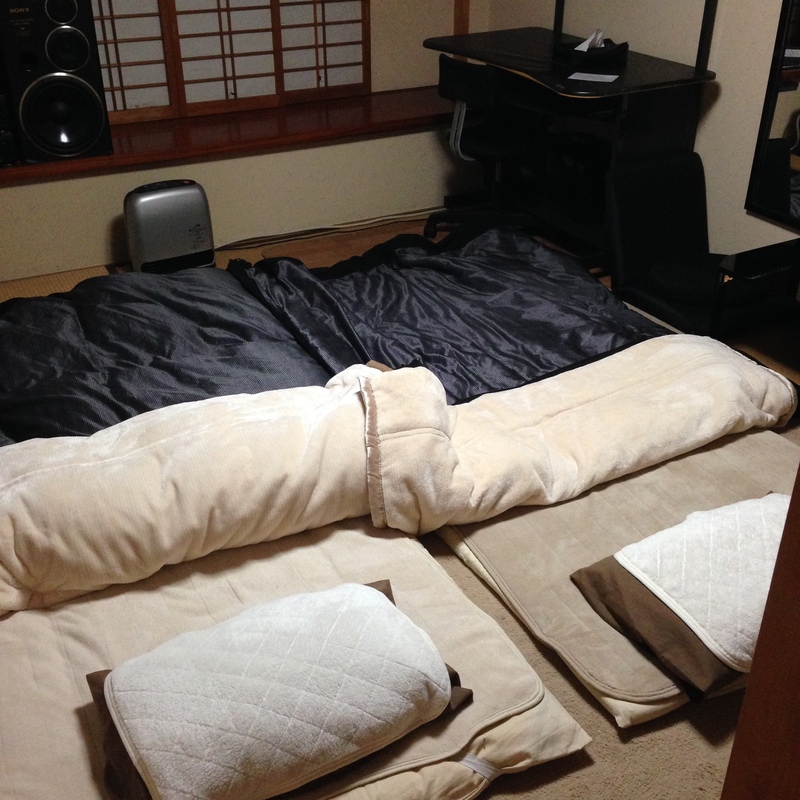 Fortunately, our tatami was very cozy, allowing us to have warm and restful nights.